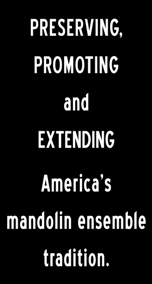 We performed "Mandolin Messiah" for five years before we thought of making a T-shirt. Well, here it is. Artwork features George Frederick himself, with the mandolin you never knew he owned (just like Carlo Aonzo's!). 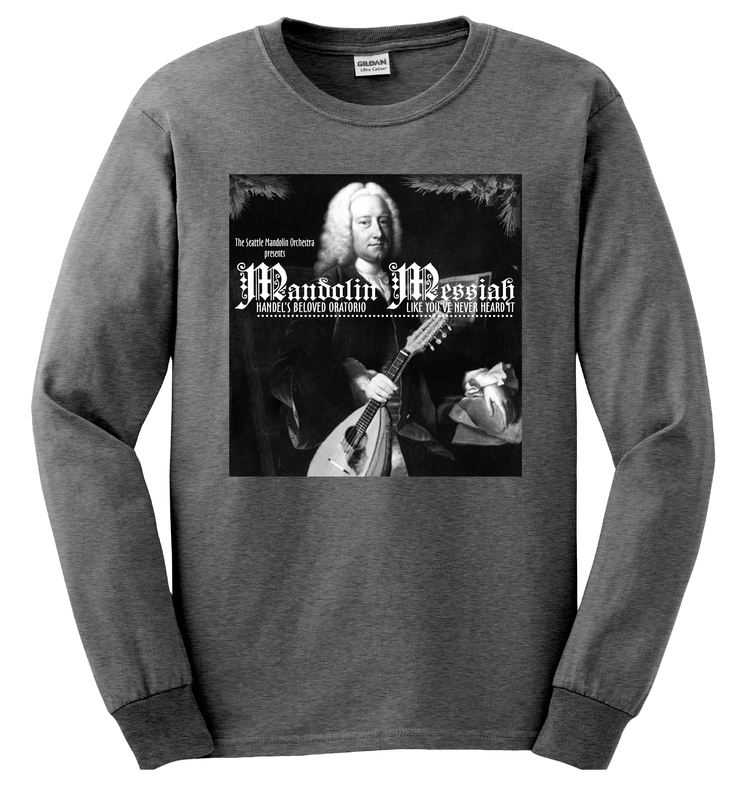 Men's/unisex: Long-sleeve T in sizes S–XXL, available in charcoal, navy, or forest green. Women's: Long-sleeve in charcoal or navy, short-sleeve in forest green. Heavy 6.1 oz. 100% cotton, double needle stitching. $25 for long sleeves, $20 for short. Sales tax added in Washington. $6 added for shipping. 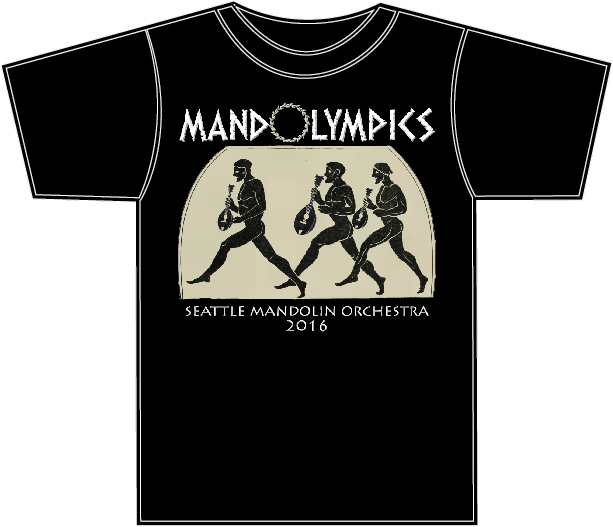 Join in the spirit of Mandolympics with this stylish T-shirt! You can have any color you want as long as it's black. Heavy 6.1 oz. 100% cotton, double needle stitching. 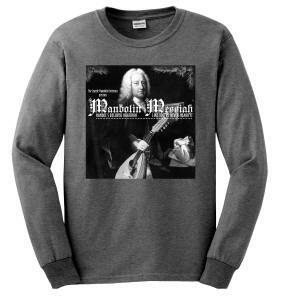 $20 + $5 domestic shipping; all proceeds benefit the nonprofit Seattle Mandolin Orchestra. 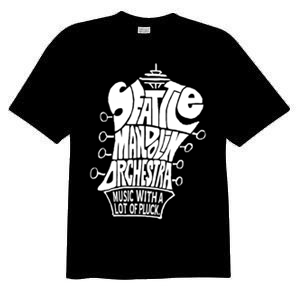 Show your pride in the Seattle Mandolin Orchestra with our logo T-shirt, available in adult sizes S–XXL. Black, red, or royal blue with white logo. Heavy 6.1 oz. 100% cotton, double needle stitching. We aim to remove all doubt as to which mandolin orchestra has the best-dressed supporters. Cost is $15 plus sales tax (in Washington) and $5 for shipping.